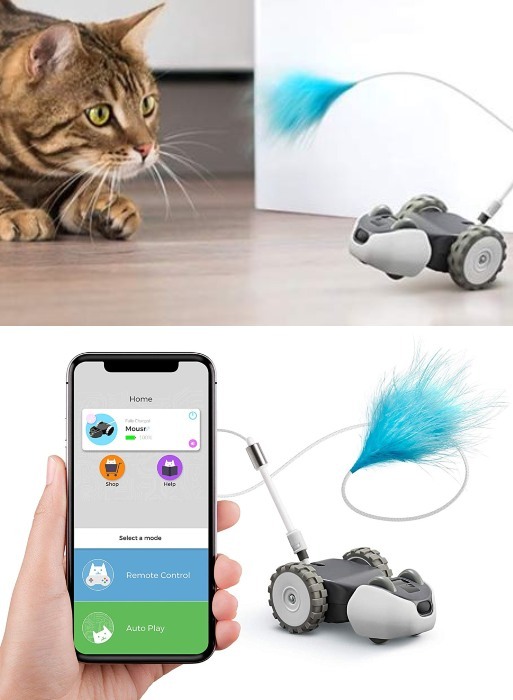 Meet the Petronics Mousr: a robotic cat toy designed to keep your pets engaged and active. It is smart enough to sense and react to your cat automatically. It has 3 modes of play and connects to your smartphone for remote control. 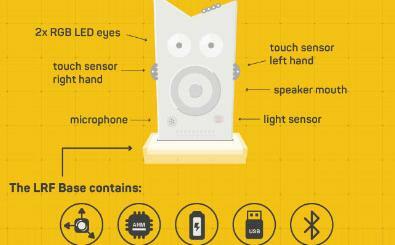 It has a navigation sensor to avoid obstacles. Mousr knows when it is caught and plays dead. It comes with a tough polycarbonate shell and replaceable tails. Should work on most common household surfaces.